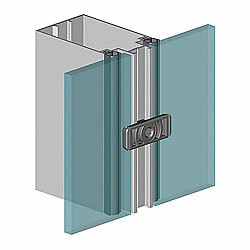 ALT111 interior partition wall system is designed for arrangement of work space in trading and exhibition centers, office buildings, and offers broad opportunities to design interiors for various purposes and functions. 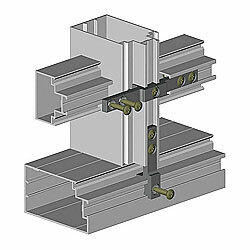 Preparation of profiles for assembly actually consists of only one action: the profiles shall be cut according to the required dimensions at the most “convenient” 90° angle. 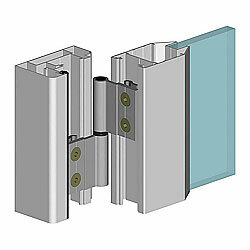 We can forget about various labor intensive procedures like shaping or drilling of openings. The use of conductors for a precise drilling is not required in this case as well. 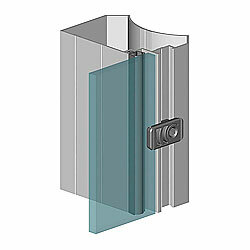 The own patented design concept of AluminTechno used in ALT111 system makes the installation (and dismantling) of partition walls easier. The key moment is to fix the filling via two types of clamps: symmetrical and asymmetrical. 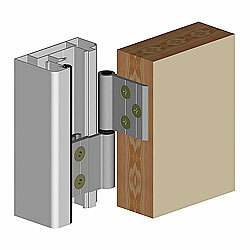 Assembly of the partition wall framework is performed with the help of brackets. 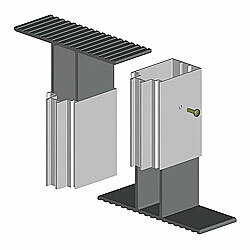 The brackets are mounting attachments and are fixed with the help of self-tapping screws, thus the necessity to do a step-by-step assembly, a drawback peculiar to the majority of systems available in the market, is completely excluded. ALT111 system can be installed in trade centers, banks, public buildings, production and administrative premises, fitness centers, educational and scientific institutions. 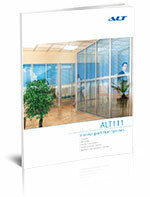 ALT111 system partition walls provide an inimitable company style, ensure convenient environment and favorable conditions for a fruitful work of the employees. gypsum-plaster board, flakeboard, MDF, and any other materials 4 to 12.5 mm thick. 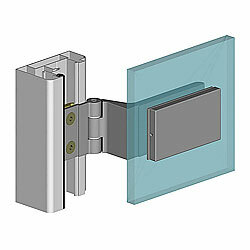 two types of plastic clamps are available: symmetrical and asymmetrical.